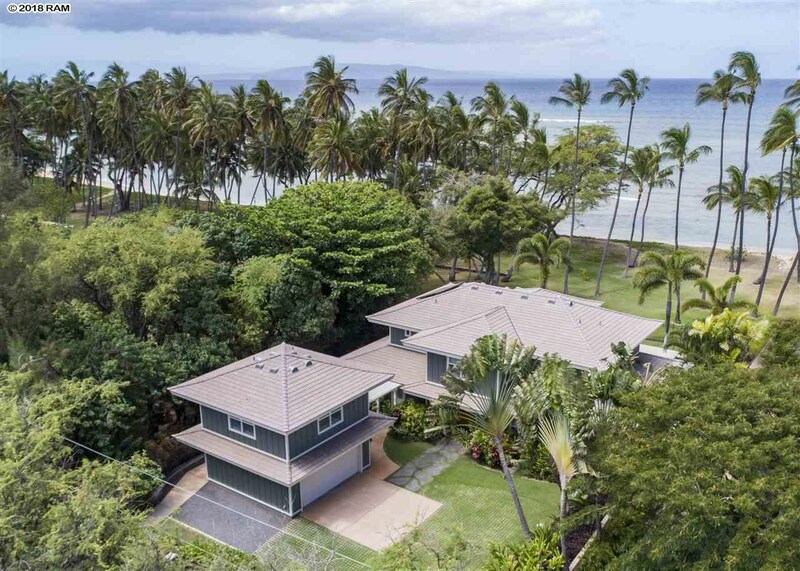 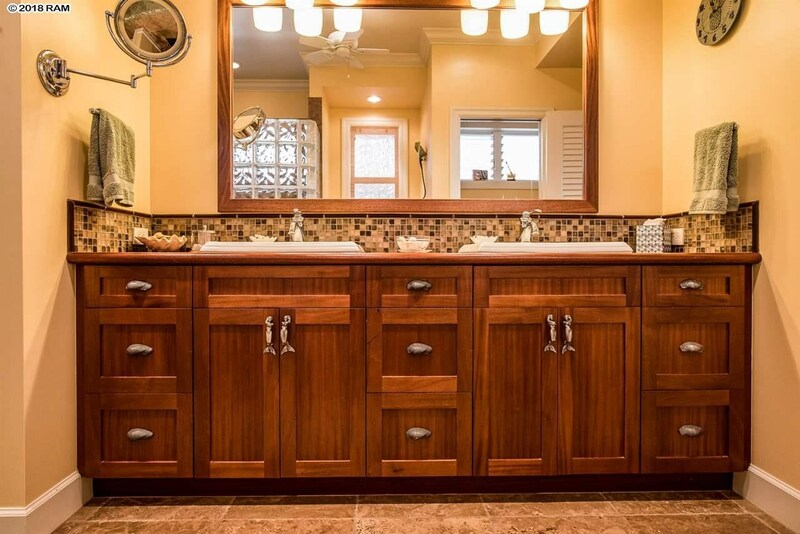 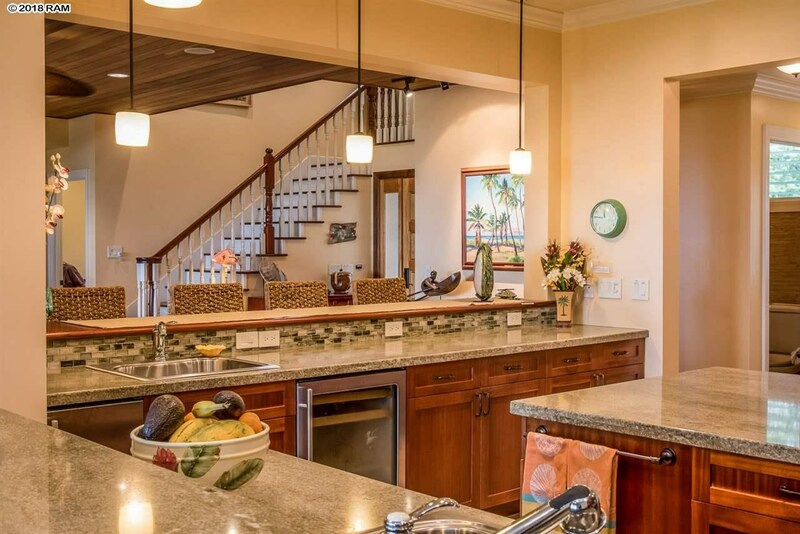 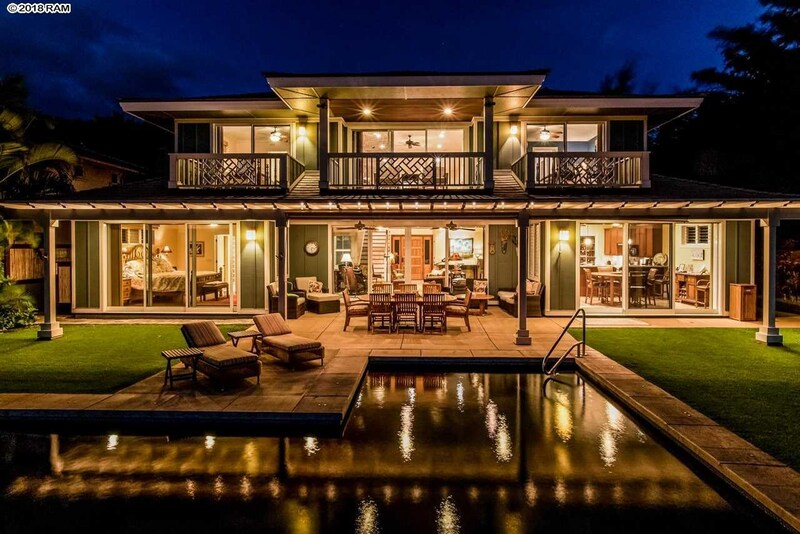 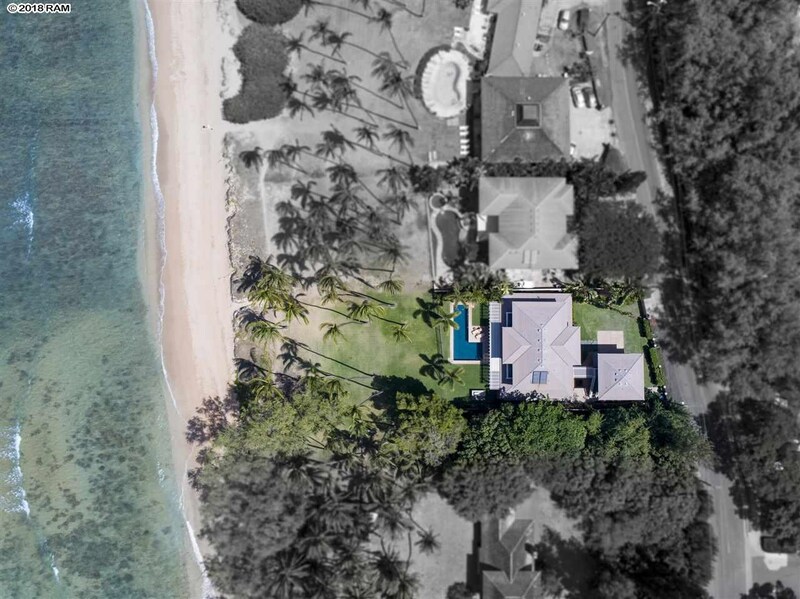 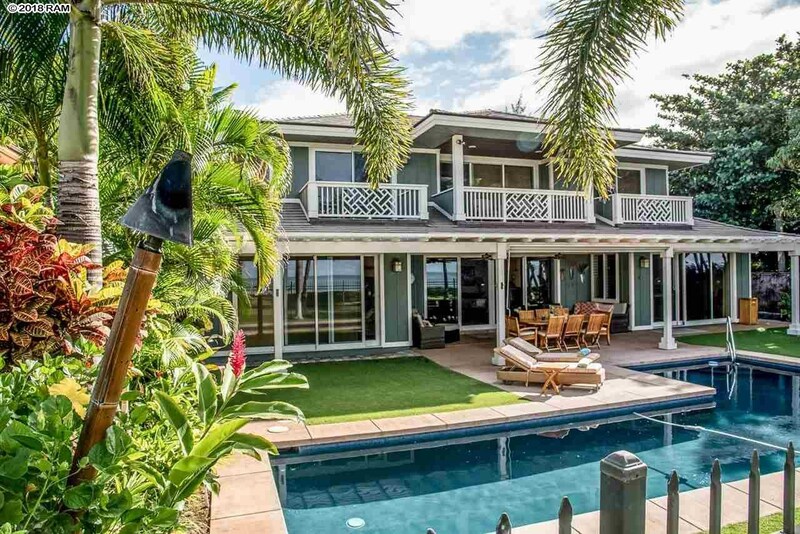 Remarks: Oceanfront custom built plantation style home: 3 bedroom, 3 1/2 bath; plus den/office, 2 story home, with a separate 1 bedroom, 1 bath Ohana. 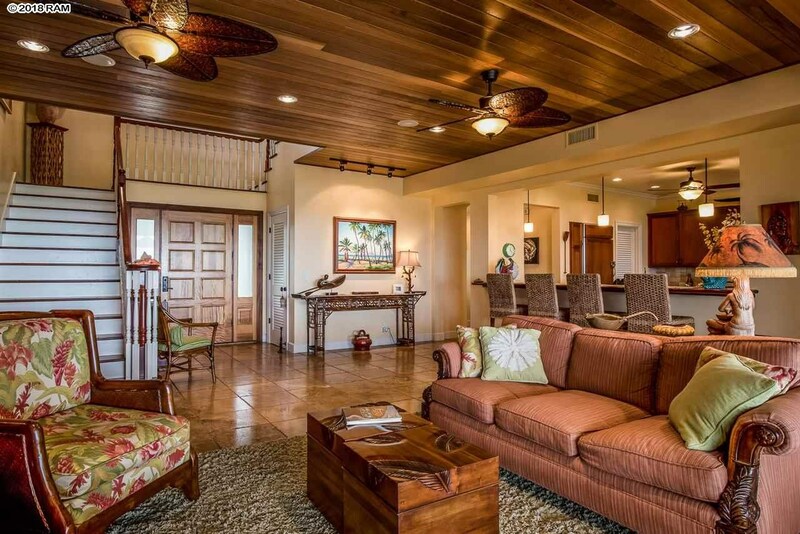 Warm travertine floors lead you to the spacious living room with a cedar wood paneled ceiling and a 16′ wide Fleetwood concealing sliding door that opens to plenty of outdoor seating and dining for 8 with lounge chairs around the pool. 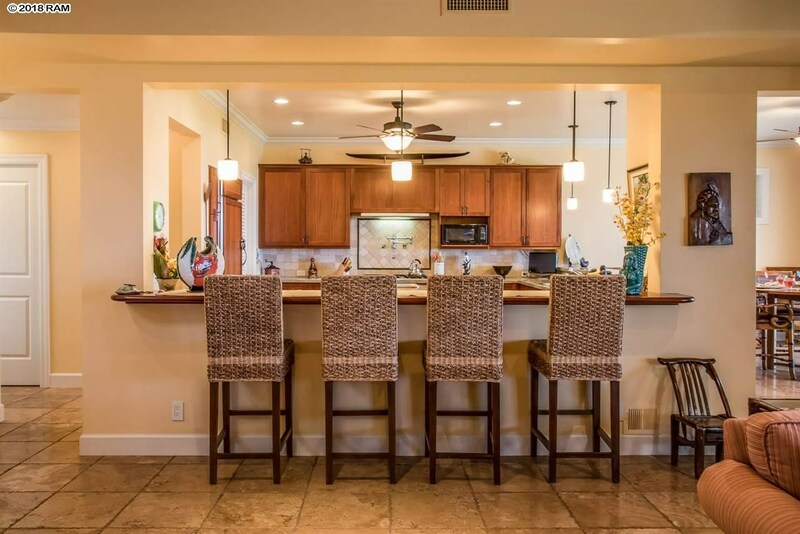 The gourmet chefâs kitchen seats 7 around beautiful granite counters, has a 5-burner gas stovetop, a built-in wine cooler, gorgeous mahogany cabinets, and a large center island with a built-in oven. 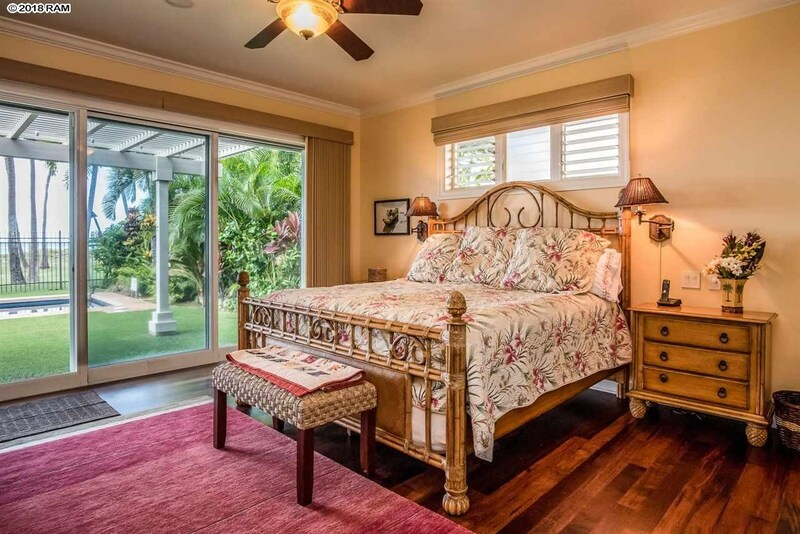 The ground floor master suite features rich Merbau hard wood floors from China, pocket sliding doors that open to the pool area, and custom mahogany cabinetry in the en-suite bathroom. 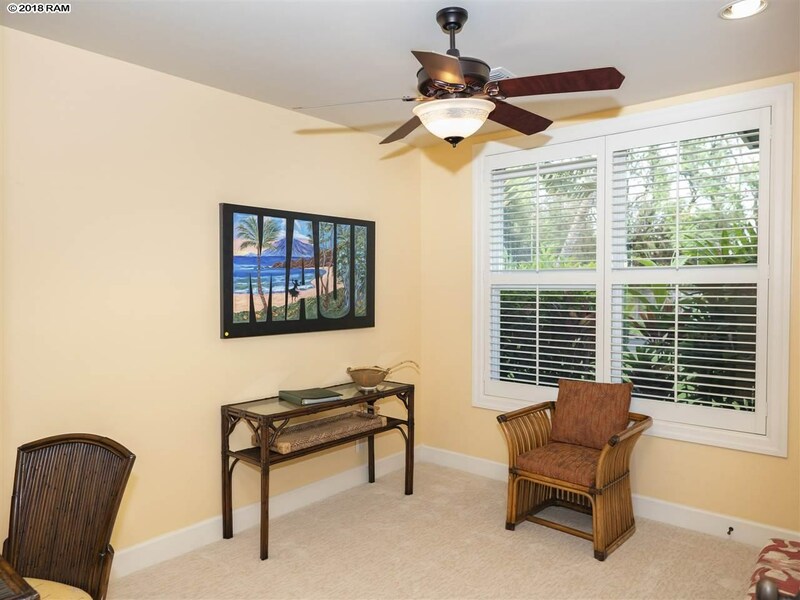 The office has wall-to-wall carpet and is comfortably furnished. 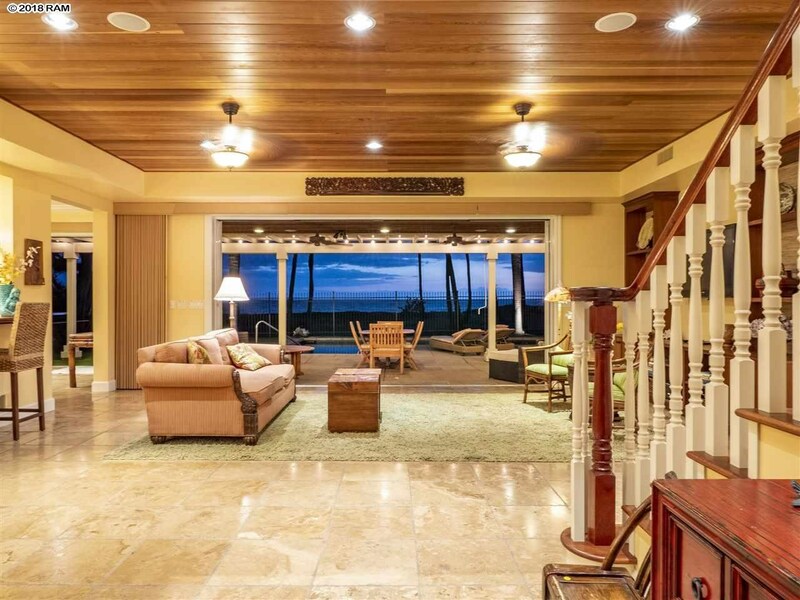 A Merbau hard wood floor staircase takes you to the open family living area with a spacious lanai to enjoy the ocean views. 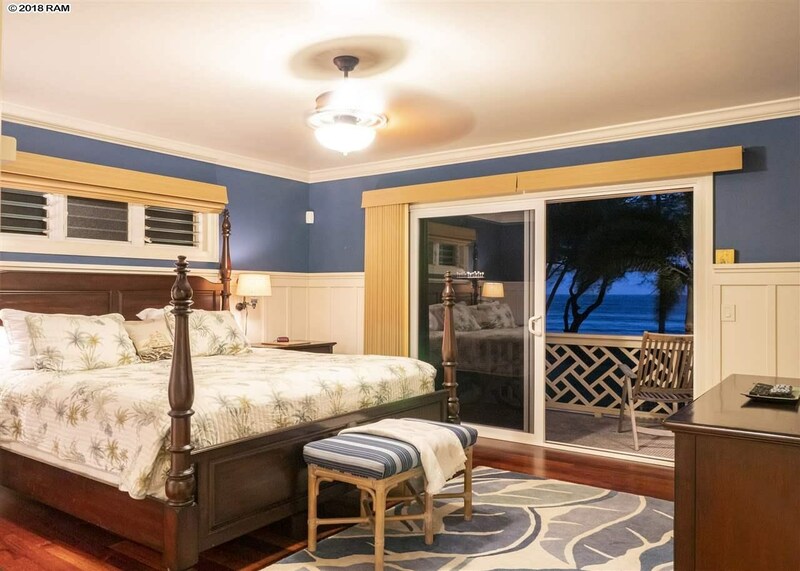 There are 2 guest bedrooms with en-suite bathrooms and each with an ocean front lanai. 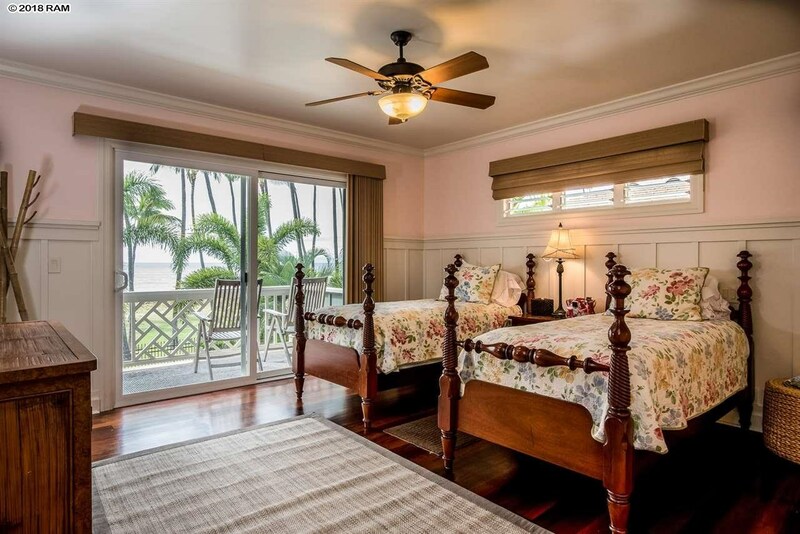 Beautiful Merbau hard wood floors throughout the 2nd floor. 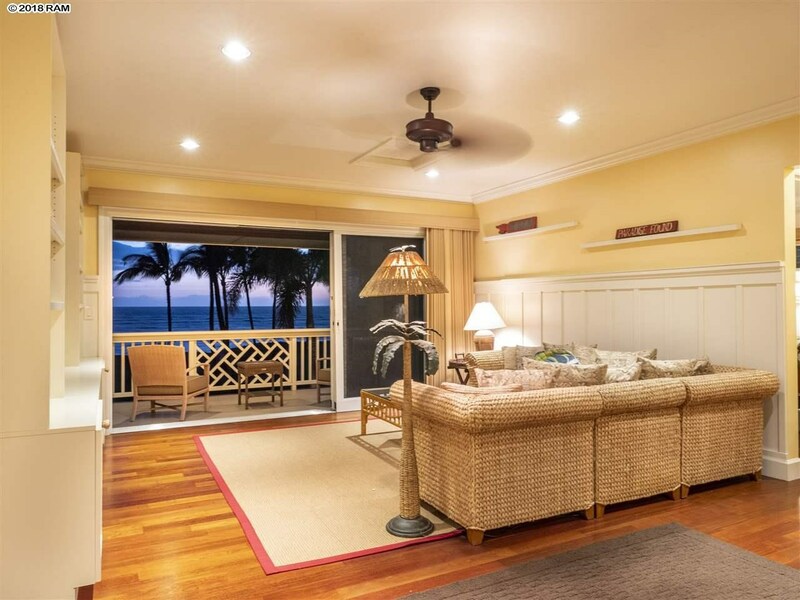 This residence has fine Island-style furnishings and artwork throughout. 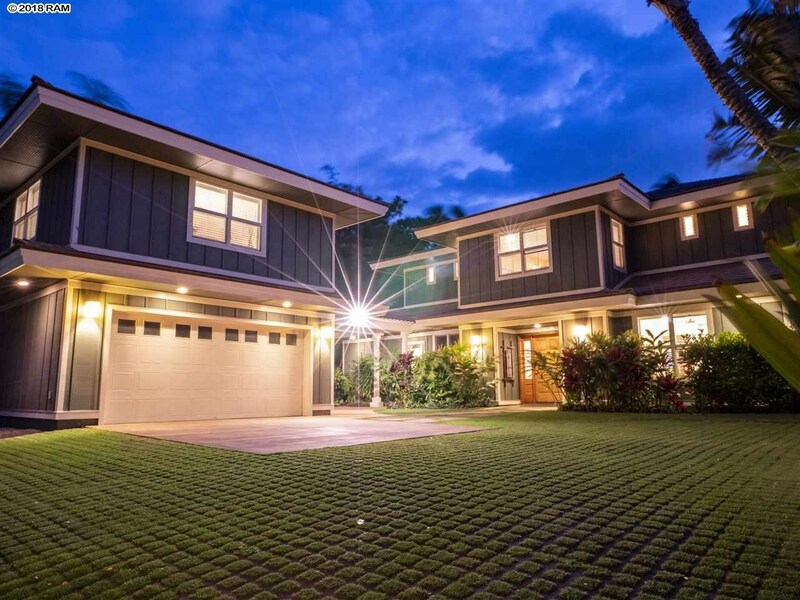 Vibrant green lawn surrounds the front of the home and L-shaped pool which features a gas grill built into a generous custom granite top counter island to enhance outdoor entertaining. 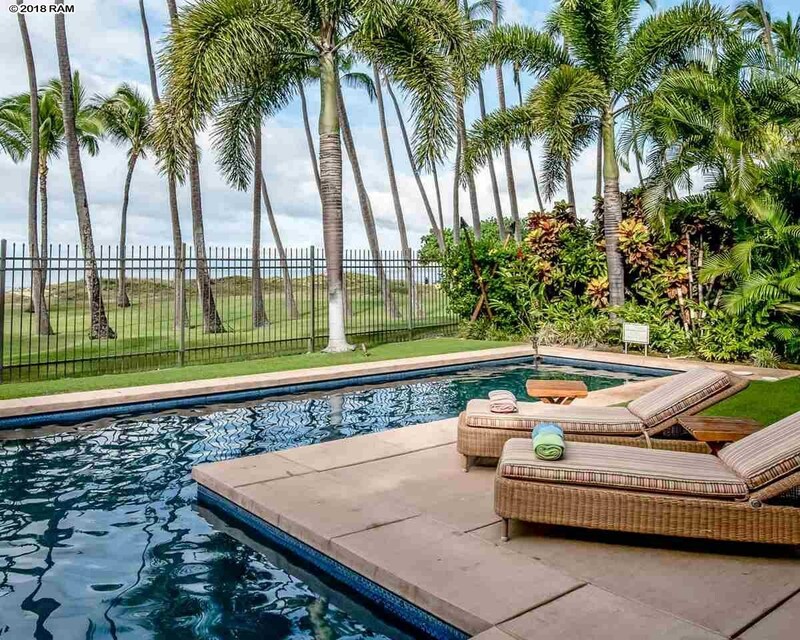 Perimeter walls are behind well-tended tropical landscaping, & beach access is a short stroll away from the pool. 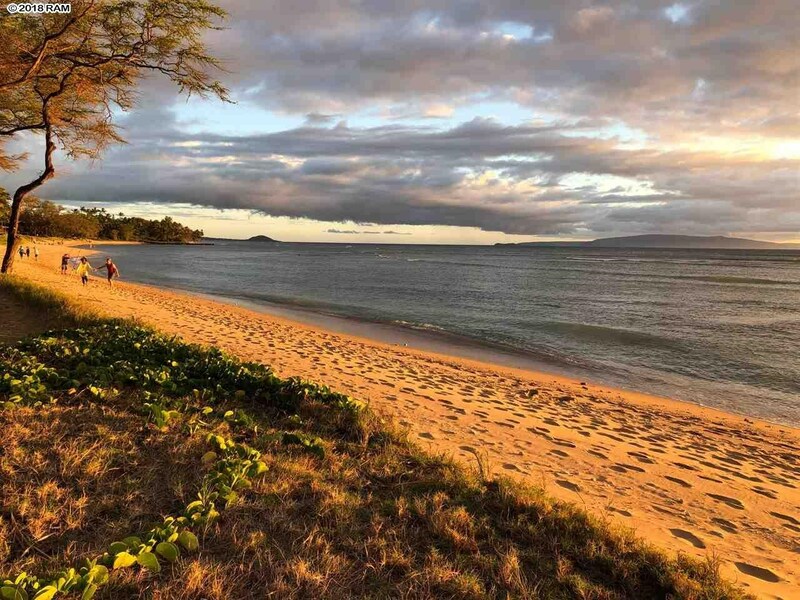 Quiet, convenient Kihei neighborhood. 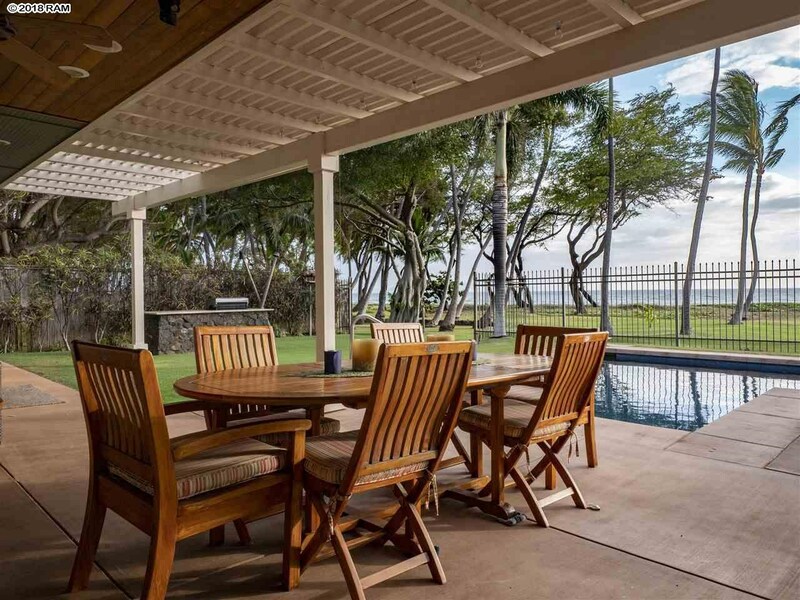 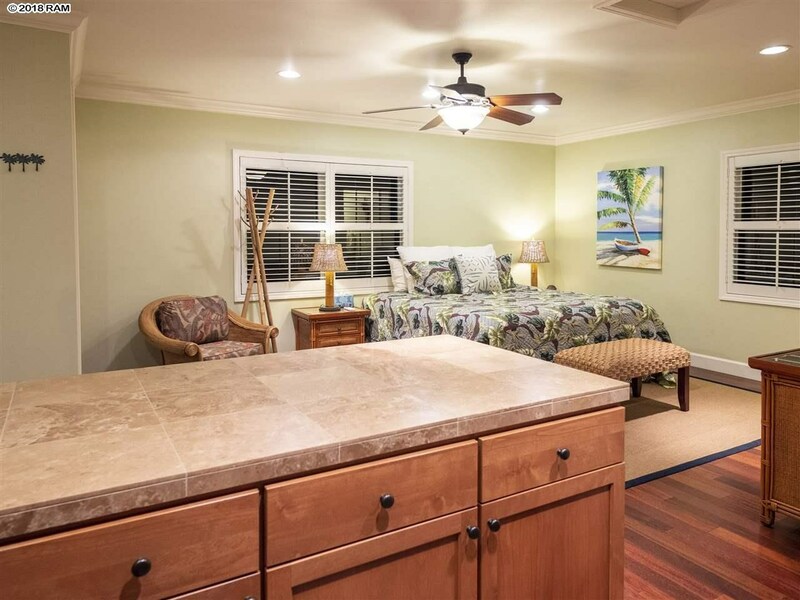 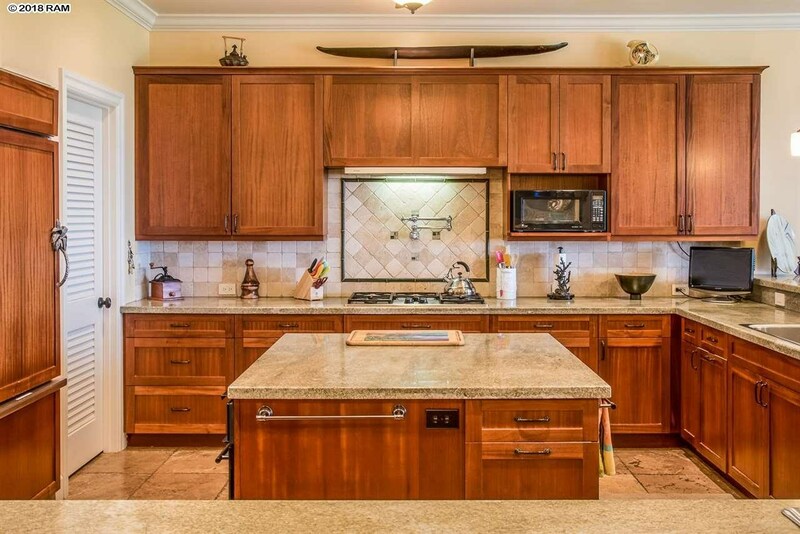 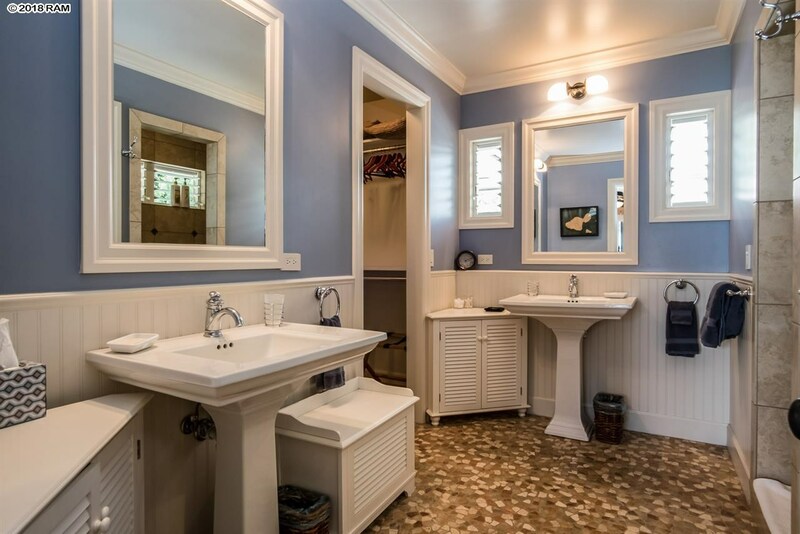 1250 Uluniu Rd is a home for sale in Kihei (MLS# 380972). 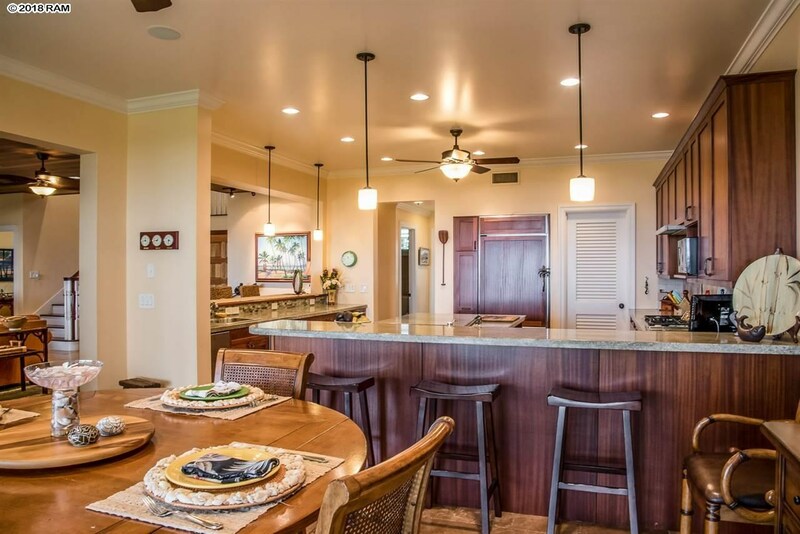 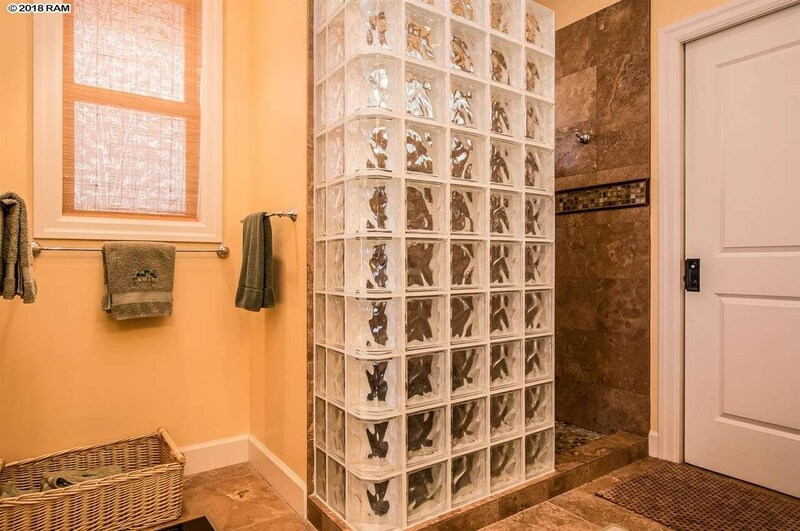 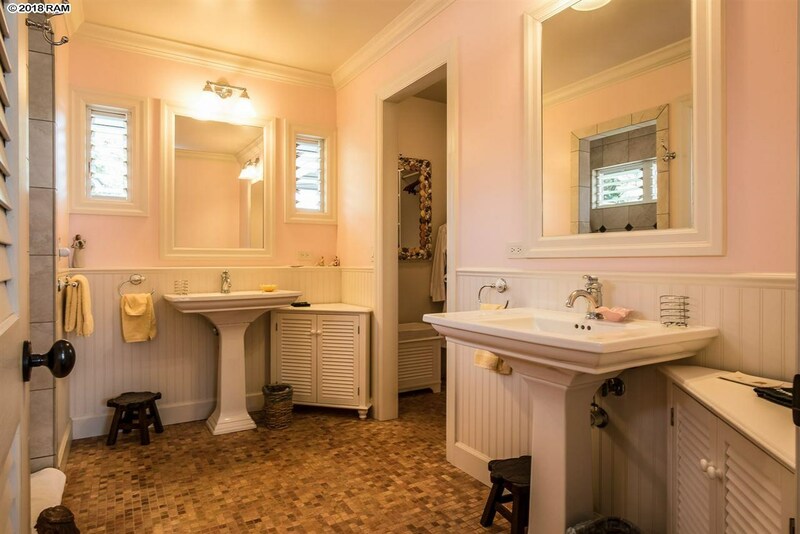 This property features 3 bedrooms, 4 baths, and is 3751 sq ft. 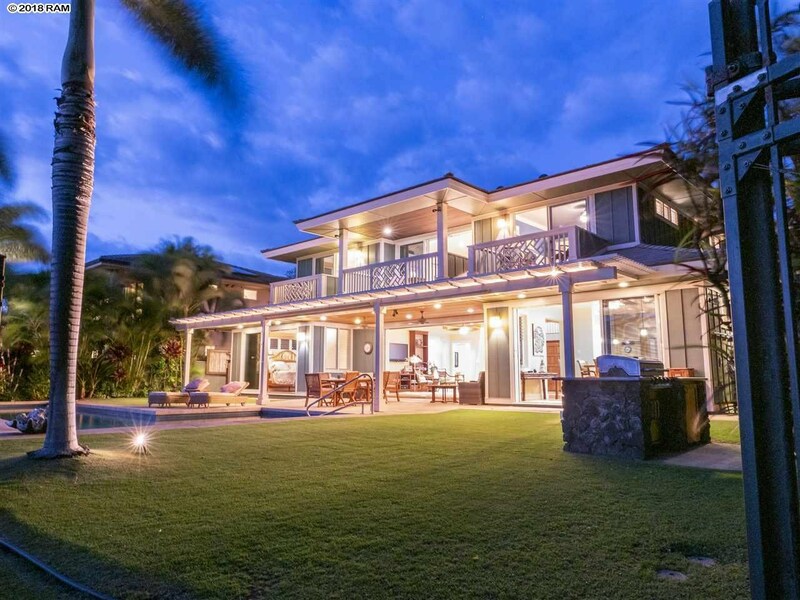 It is currently listed at $4,175,000. 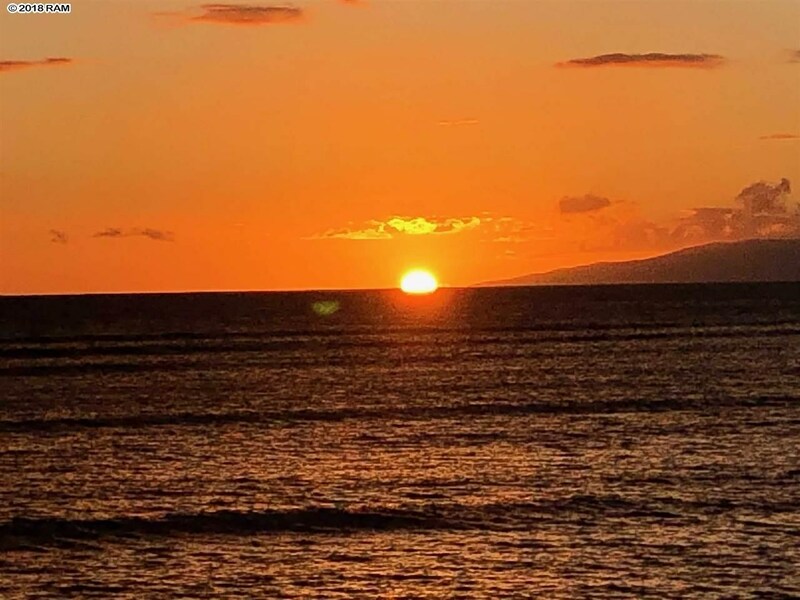 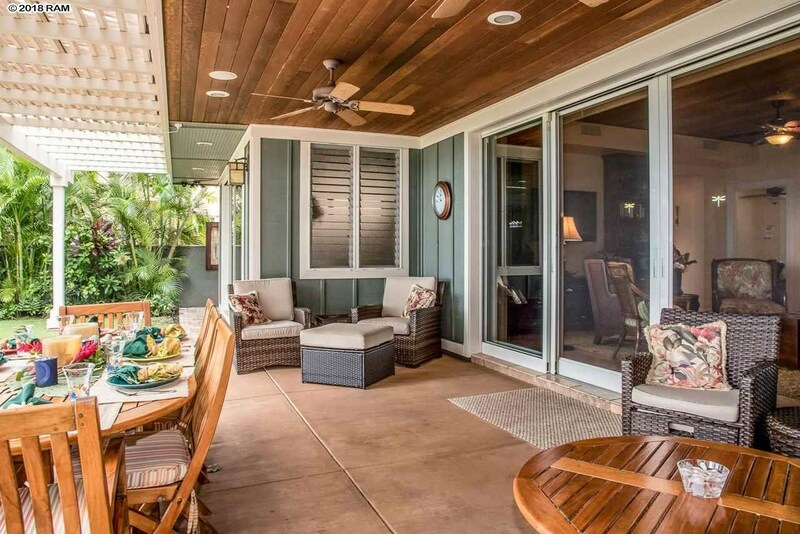 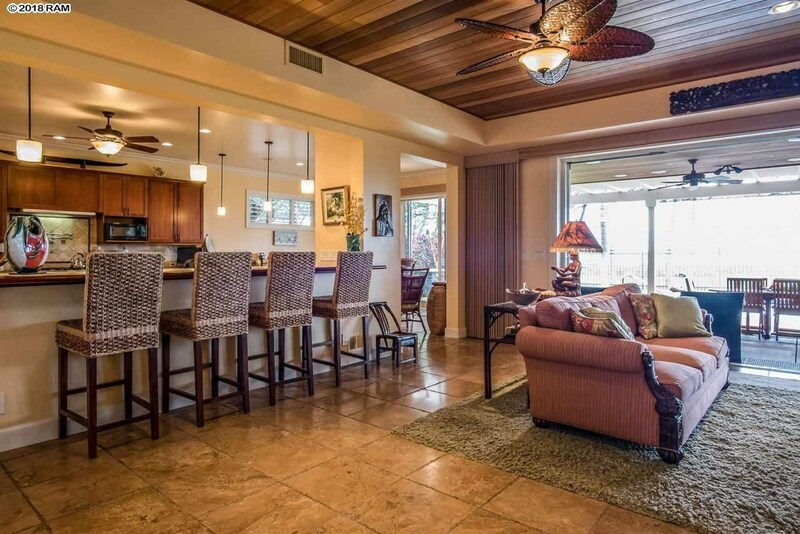 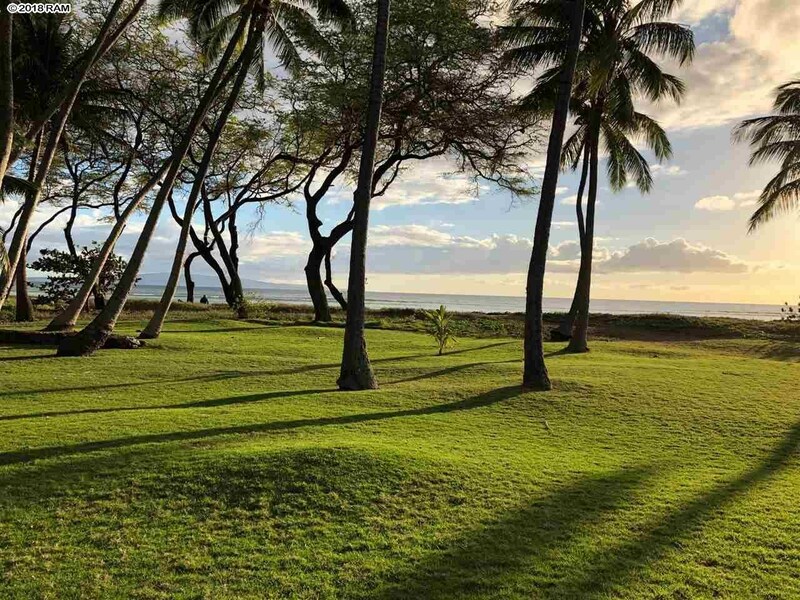 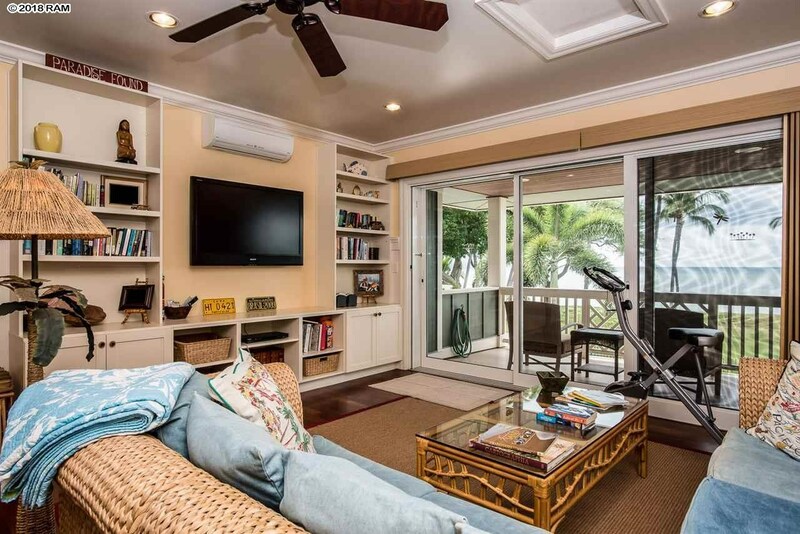 You are viewing the Official Maui MLS® details for the condo for sale at 1250 Uluniu Rd, Kihei, HI 96753 – MLS®# 380972.